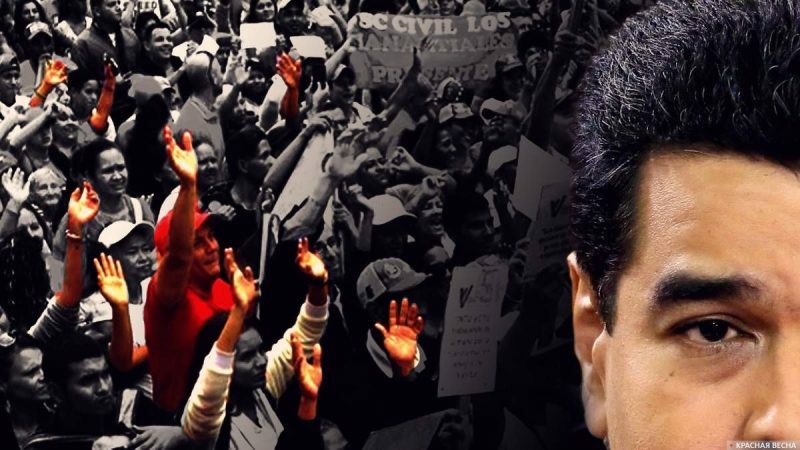 Venezuelans will resolve their issues without killing each other and violating the Constitution of the country, stated Venezuelan President Nicolás Maduro at an international press conference in Caracas on January 25, a Rossa Primavera News Agency correspondent reports. “We are Venezuelans and we will not kill each other. We will solve our problems and we will not accept violence. We will find a solution to all problems, and we will not violate the Constitution, ” said Maduro. The head of state believes that if the people betray their Constitution, they will be left without a country. It is not about him, but rather about respecting the highest law of the land, stressed Maduro. “Someone may not like Maduro, but the Constitution must be respected. You may love or hate him, or treat him indifferently, but everyone must understand that there is a Constitution, which defines the office of President,” he said. The Constitution describes all instances for the president’s legitimate removal from power. On January 23, Juan Guaidó, the head of the Venezuelan parliament, announced that the opposition does not recognize the results of the presidential elections, anf he declared himself the acting president and the presidency as vacant. The opposition’s protest march led to riots. The US and most Latin American countries endorsed Guaido’s claims. Trump said that the US does not exclude military intervention in Venezuela. This entry was posted in News from the West and tagged Political War, Venezuela. Bookmark the permalink.